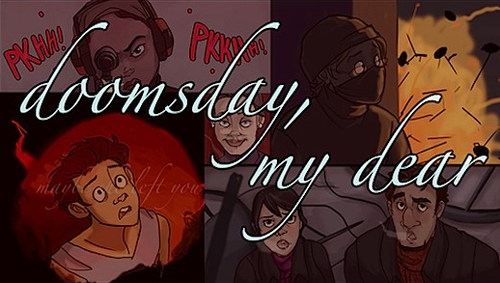 So I was puttering around on Patreon looking for a fun project to read and write about when I stumbled across a little webcomic called Doomsday my Dear. I started reading it on its webpage and I just couldn’t stop. 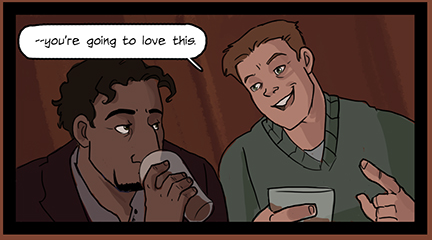 The comic updates twice every week and has been going steady for a while now. It is currently on Patreon and is funded on a per page basis, which means if you give $1 per page you can expect to give around $8 a month. Doomsday my Dear is an ensemble webcomic about a not too distant future where London is being ravaged by a mysterious disease known as “The Blood Plague”. Basically how it works is this: people with a certain genetic make up, called “Carriers” in the comic, carry a non contagious form of the plague from birth. While the carrier is unharmed and can live a normal life problems arise when the carrier has children. When a carrier has a child, even with a non infected human, the baby is born with an incredibly virulent and incredibly contagious disease that kills any other child who breathes it in. One of the only ways to tell if anyone carries the plague is by looking at their eyes, which usually are different colors. Fan art by E.D Mead. While the disease isn’t threatening to wipe out the human race in one fell swoop, which would prompt a rapid and brutal government crackdown you’d normally see in zombie or other plague films, it does prompt enough worry to turn London into a totalitarian military state. In response to the plague Great Britain begins issuing procreation licenses and registering the names of all known carriers who are forbidden to have children. If you’ve seen X Men you know exactly what happens next. Don’t let her half smile fool you, this woman is ruthless. Within days of her election the streets are filled with police forcibly taking Carriers to a compound called “Paradiso” and anyone who does not comply is shot. The comic itself is an ensemble work following the lives of regular people living in this new world. The comic covers everyone from scared teenage Carriers, to members of the military and police, to terrorists seeking to bring down the system. It is a massive epic story filled with love, loss, violence, and a Prime Minister who seems to display signs of other worldly powers. 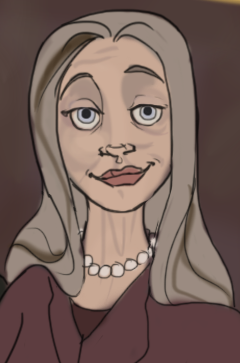 Besides having an artist that really knows what she is doing the artwork kind of looks like an early 90’s Disney animated movie, and I love early 90’s Disney animation. But despite the cheery feelings the art style helps elicit the story is anything but. This is a scenario we’ve seen a thousand times before, a disease ravaged country coming under the grip of a totalitarian government filled with death squads, questionable government actions, and a very prevalent sense of dread. It’s not a very happy story and the comic is very good at showing the fear and terror that an event like this would inspire. But that’s not why I really like this comic. 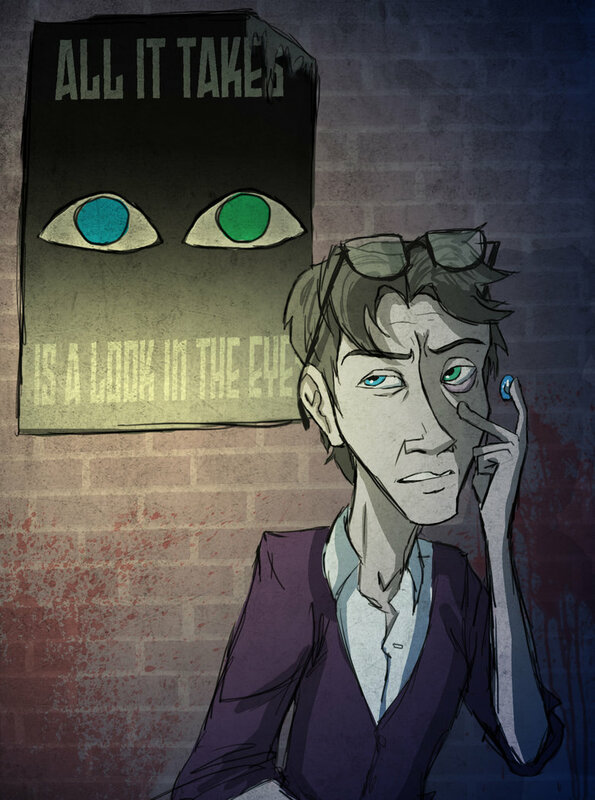 I really like stories that put a different spin on popular subjects or genres (hell I make a webcomic about a family of super villains so of course I do) and this comic does that brilliantly. Unlike a lot of doomsday stories where the government is an evil monolithic entity every character is presented as a normal human being who is only doing what they see is right. Plague carriers, resistance leaders, government officials, soldiers, and normal civilians are all shown in the exact same light and treated just like any normal human being would. All of them have their hopes, dreams, and ideals. They all drink, gossip, and screw. Even when one of the main characters does something terrible or questionable it is presented in such a way that you can kind of understand why they did it and you feel sorry for them when they are forced into a situation they don’t want to be in. Anyway, I could go on all day about this but I’m just going to let you see for yourself. 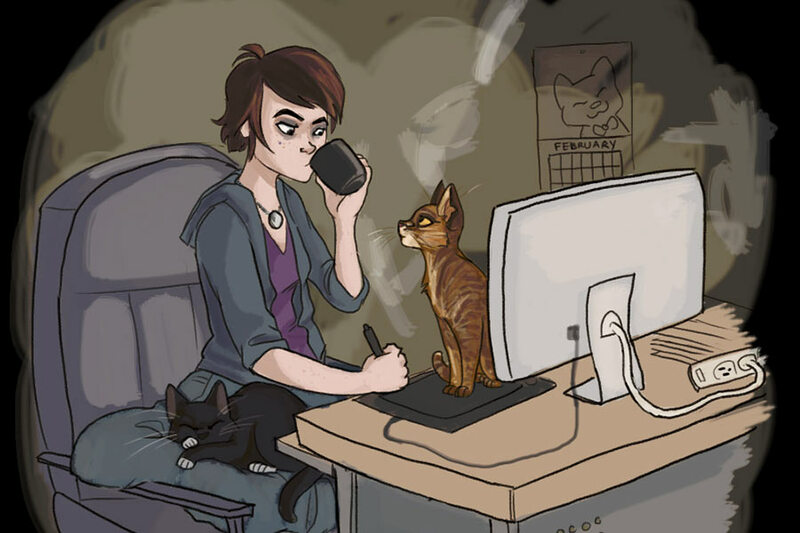 I definitely encourage you to check out this comic and donate to it’s Patreon page if possible. This entry was posted in Blog and tagged crowdfunding, Doomsday, Doomsday my Dear, ensemble, Great Britain, Patreon, webcomic. Bookmark the permalink.